A friendly locals pub always ready for new customers. With a fantastic menu to cater for all tastes, the burgers are superb so, pop in and give us a go. Star & Garter in Copnor has a beer garden. The pub has a car park, it has disabled facilities. Star & Garter is a family friendly pub. The pub serves food, it has an outside area. Star & Garter serves real ale. The pub has free WiFi, it has a pool table. Star & Garter holds quiz nights. The pub has BT Sport, it has Sky Sports. 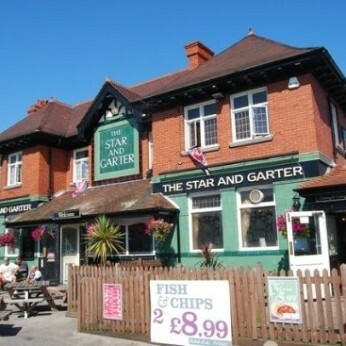 Star & Garter is a member of Cask Marque. The World’s Biggest Pub Quiz is coming to a local near you. More specifically - this one! Call up or call in to find out more details, and help make this the BIGGEST year yet! Do you want to take part in the World’s BIGGEST Pub Quiz? Of course you do! Well you’re in luck because it's heading to your local very soon. Get in touch to find out more, and get ready to get quizzical!